Kinabalu is located in the East Malaysian state of Sabah (British North Borneo before September 1963) which lies on the north eastern part of the island of Borneo. 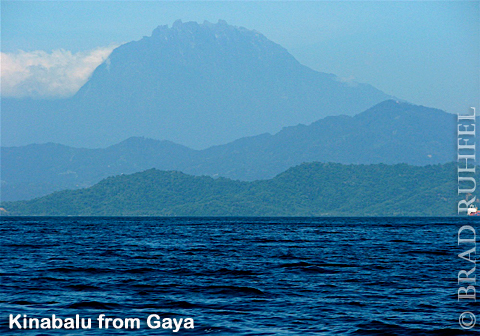 The mountain range stretches through the entire west coast of Sabah and the park itself covers an area of 754km2 (~300 square miles). 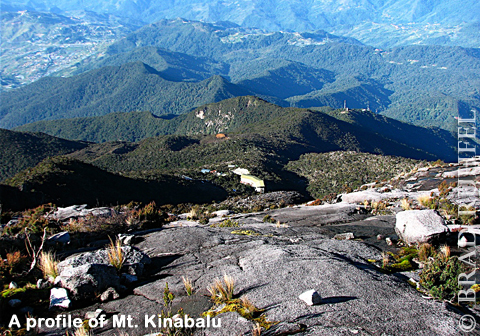 Mount Kinabalu's massive structure dwarfs everything around it. Mount Kinabalu at 4095m (13 435 feet) is the highest mountain between the majestic peaks of the Himalayas and the mountains in the 2500km long Penunungan Maoke or Central Range in West Papua (formerly known as Irian Jaya). The lowest elevation in Kinabalu Park is at Poring Hot Springs (550m/ 1805 feet) which lies in the southern boundary of the park. Hence within the relatively small area the temperature decreases from 25°C at sweltering and humid Poring, to 4°C at cool and crisp Mount Kinabalu summit. Because of its high altitude, clouds are trapped in many parts of the Park and it enjoys heavy rainfall for several months of the year. 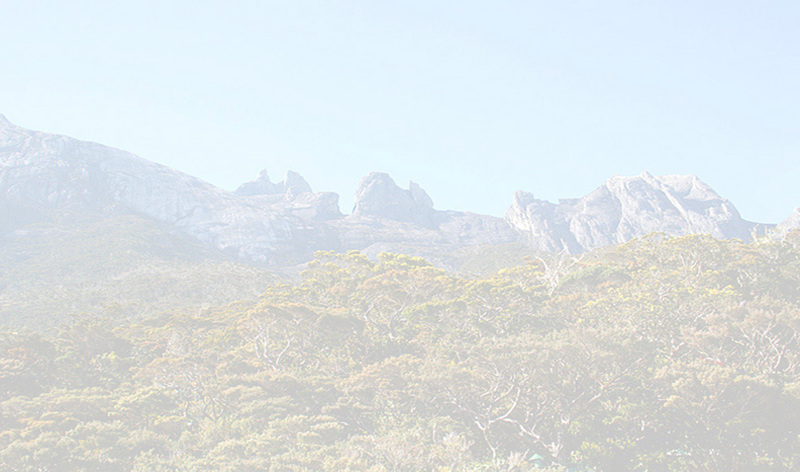 Dr. Willem Meijer a botanist described Kinabalu as "a mountain of mist and rain". The swirling mists and puffy clouds constantly change the scenery and visages of Kinabalu yet its beauty endures. Tom Harrison who was curator of the Sarawak Museum from 1947 to 1967 wrote: "One hour it is there, the next nowhere-lost in the cloud world." The great variation in climatic conditions means that there is a myriad of vegetation and natural habitat and this in turn helps to increase in the number of species of flora and fauna. Professor E.J.H. Corner (1906-1996), an eminent Cambridge University botanist and who served as the Assistant Director of Singapore's Botanic Garden from 1929 to 1946, wrote in the “Kinabalu-Summit of Borneo” that Kinabalu "has the richest and most remarkable assemblage of plants in the world". 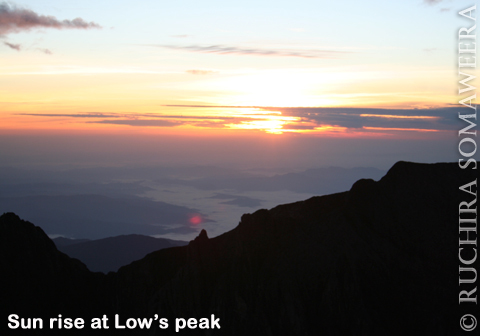 Kinabalu comprises an oval-shaped granite dome formed when magma broke to the surface of the Earth's crust millions of years ago. The violent explosions formed the surrounding sedimentary shale and sandstones into the Crocker and Trus Madi mountain ranges. 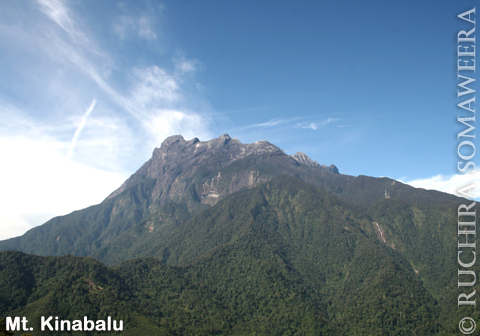 Geologically Kinabalu is a young mountain. 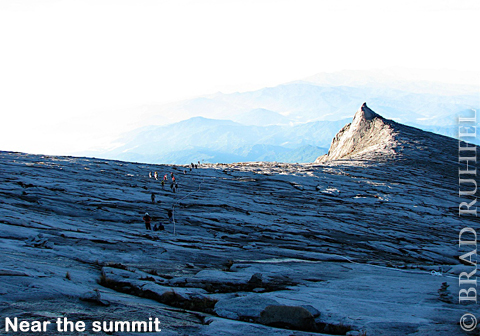 During the Pleistocene, the last ice age, Kinabalu may have been enveloped by ice and glaciers which flowed down the slopes when the weather got hotter. The ice-cap is believed to have melted away a mere 3000 years ago. The massive glaciers too traveled along a geological fault line and spilled into a chasm named Low's Gully which plunges from an elevation of 3900m (12800 feet) to depths exceeding 1800m (6000 feet). Low's Gully, the most spectacular feature of the mountain, split it into two arms forming the Western and Eastern Summit Plateau. 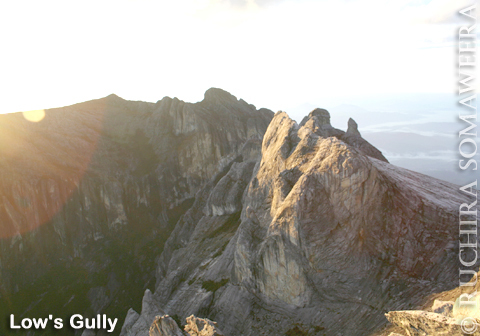 The gully is more than 16 km (10 miles) in length. Only a few sharp summit peaks stood out above the ice and they are bestowed with names such as Low's Peak, St. John's Peak, Ugly Sister Peak, Donkey's Ears and a few others named after British monarchs. On the bare rock surface at or near the summit numerous slender bands or dykes representing the last phase of intrusion of igneous rocks which had intruded through the older granite formation along fractures are visible. Designed by Ruchira Somaweera (University of Peradeniya, Sri Lanka). Oct 2007.